Super packed train to Phaya Thai. Got the rabbit card at Phaya Thai this time instead of having to buy the magnetic cards everytime we take the BTS. More convenient this way. 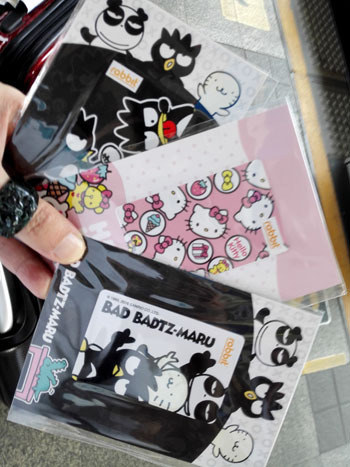 Cool designs! 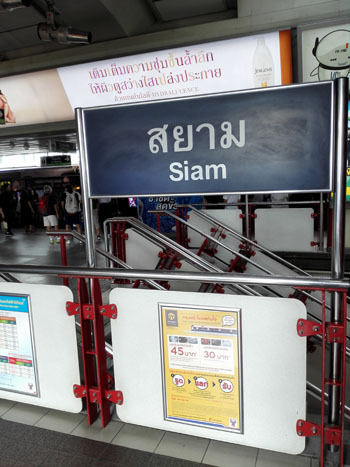 Reach Siam station to transfer to the Silom line. 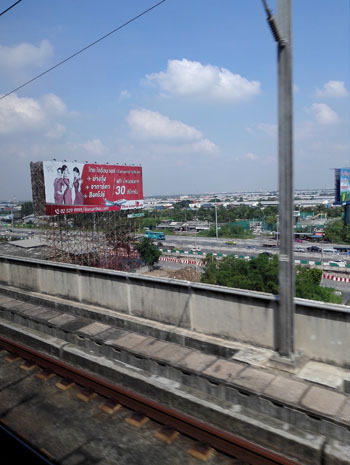 Our hotel is beside the Ratchadamri BTS station. Reach our hotel at last. 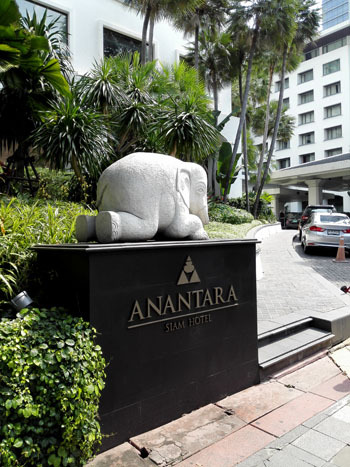 This time we are staying at the Anantara Siam Bangkok. 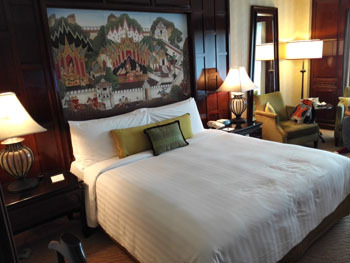 Slight miscomm and we ended up with a "King" bed which dun look like King to me instead of 2 doubles. As we wanted to drop our luggage, change and make our way to JJ Market asap, did not make the change to twin bed instead. 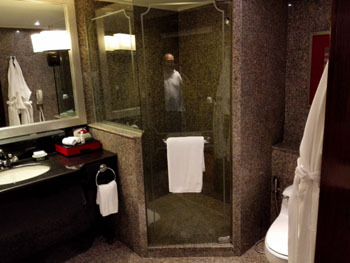 The washroom area with a huge tub which we did not use. 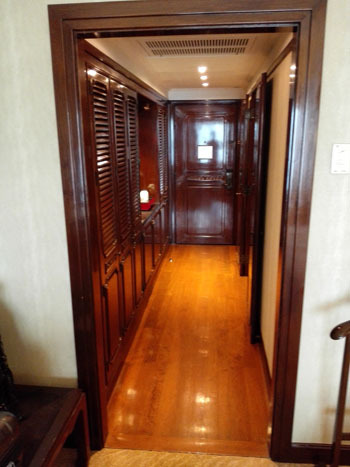 Short walkway linking the door to the bedroom with the washroom on the right side. 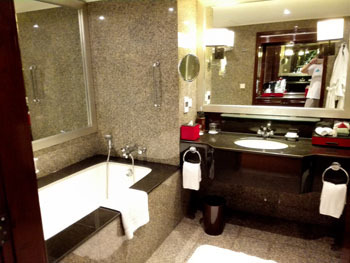 Not a tall hotel. Tallest floor was 8th floor. We were on the 4th. 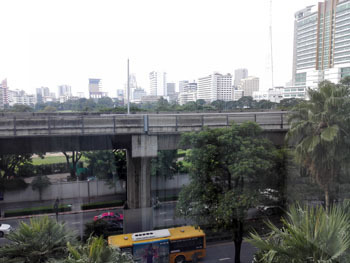 View from hotel room. Left the hotel and made our way to Chit Lom for the BTS to Mo Chit, where the JJ market is located. 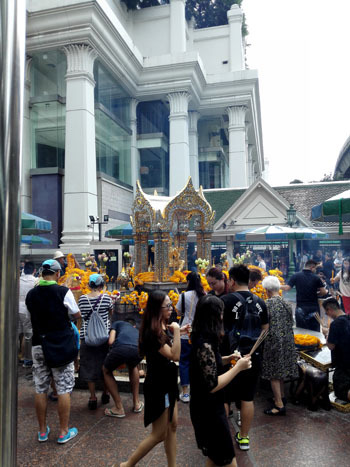 Our hotel is just a stone throw away from the famous Erawan Shrine.